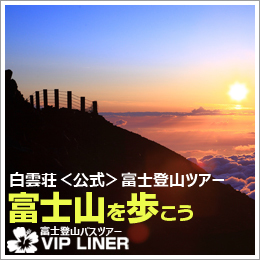 Mt.Fuji until the Subaru line 5th station , the climbing bus(bus), shuttle bus , there is a way to use a highway bus. Such as each of the access method and timetable you can be found. Please check the following link. The “Fuji Subaru Line” (surcharge) from the highway Chuo Expressway Kawaguchiko IC or east Fuji Five Lakes road Fujiyoshida IC. In Yamanashi Prefecture , every year , for the “Fuji Subaru line” for the purpose of environmental protection , we have to regulate the traffic of private cars . However , group bus , taxi -way is possible .Every year , different period of private cars regulation.Please check the following link. 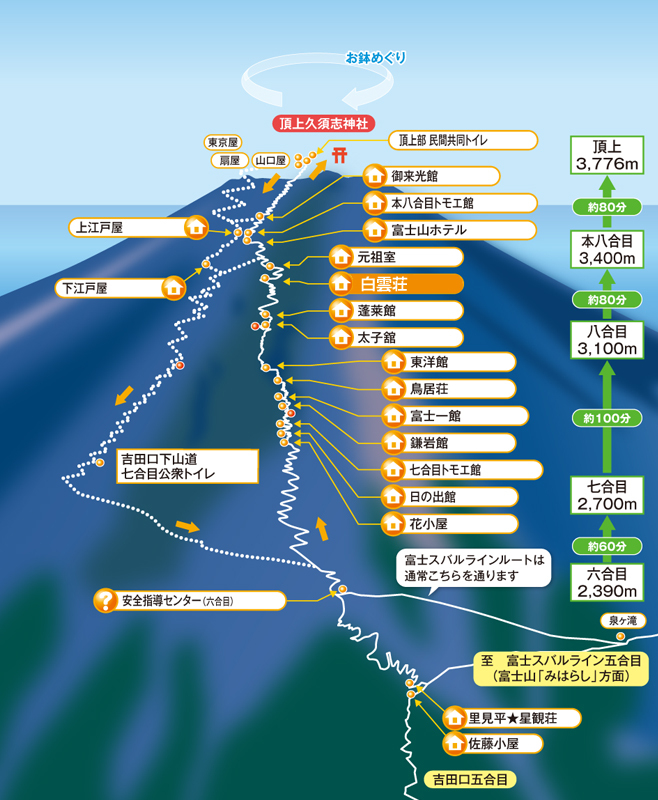 During the traffic control period ,Private car , please park in a “Yamanashi Prefectural Fuji-Hokuroku parking lot” near “Higashi-Fuji-goko road Fujiyoshida IC”.From the parking lot, please transfer to the shuttle bus ”Fuji Subaru Line 5th station”. (Parking and shuttle bus is additional cost.) In private cars regulation period, in the parking lot , there is a tourist office and a toilet. (During the climbing season is 24 hours available).